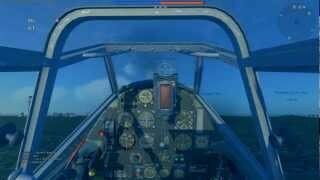 War Thunder game - shareware MMOG simulating control aircraft and other military equipment. Game developers client - company Gaijin Entertainment. We must pay tribute to the developers, who have worked very well and were able to create a project able to withstand the competition of many such internet pages razvlekalovok. Due to its characteristics of online game War Thunder unable to attract the attention of a wide audience of users, leaving them with disappointed. 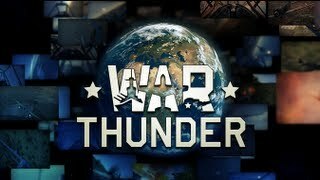 Join in the game War Thunder take you back in time and give the opportunity to participate in the events of the Second World War. It is advisable to list the advantages of the gameplay, thanks to which you will not want to come off this exciting venture. This variety of PvP modes, and control, which can be customized, and the opportunity to be involved in large-scale battles, and a flexible system of PvE, allowing to choose the right style of play, and the fleet of impressive size, and more. The graphics in the game impresses with its realistic and relevant authentic sounds contribute to dive into the atmosphere of brutal bloody war. Join now and smite all their courage and ability to make memorable feats! You need to install a client. This is possible, provided that the computer responds to parameters: - Operating system Microsoft Windows XP SP3; - Intel Pentium 4 3200 MHz; - Graphics Card NVIDIA GeForce 7600 256 MB (or ATI Radeon X1650 256 MB); - Sound card compatible with DirectX; - 10 GB of hard disk space and 1024 MB of RAM. If you have seen that the configuration of your PC is suitable, and the gameplay will be uninterrupted, you will find War Thunder registration. Only after creating an account is available by download. You must be at the game site fill out a form by writing the following information: player name, email address, the characters from the image. The fact of registration, you acknowledge acceptance of our User Agreement. To deal with petty formalities do not need a lot of time, you quickly transported into the exciting world and accept for the performance of their duties. The beginner should be trained. This is necessary in order to master and learn to manage technology. War Thunder warplanes - it's really something big. Aviation games consists of a variety of models, the number of which exceeds one hundred. You can even choose the country of manufacture (the USSR, the UK, Germany, USA, Japan, Australia, Italy, France) and the other type of aircraft that best meets your needs. War Thunder can play, as the pilot of attack aircraft, fighter, torpedo bomber. You will need to improve skills, the mechanics, the arrow. Aircraft cabin so detailed that you feel confident from the first minutes of being inside. It happens that the battle is not only in heaven, but on earth or in the water expanse. So here is available and use other equipment, such as ships and tanks. Learn how to manage the various equally clever technique of 30-50's, certainly to achieve the main goal! Believe me, the time will come when the enemy will be defeated, and you will only celebrate! Play online game War Thunder - means those trodden paths that were once famous for their heroism of our ancestors. You will participate in Sicily and Korsun-Shevchenko operations, to join the battle for Berlin, for Britain, for Malta, the Kuban, for Stalingrad. This is not the entire list of combat cards in the game. Locations are so vast that you will never suffer from monotony. By the way, on the same card can join the battle at the same time for about 32 people. Your potential rivals are the players around the world. After all, this game is multiplayer, so that both enemies and friends will be in excess. As to the time the union effort, it would be better to actually find allies and build a solid team. There is safety in numbers - it's been known to all. And even though there are jobs in the game for a single pass, the team you will not only feel secure, but also open the attractive prospects, inaccessible hermits. PvP system in the game - it's random battles, and the global war, and sandbox mode (with access to the mission editor.) A PvE-content - this is a dynamic campaign, single missions, Mission Editor, and more. Engaging in battle, you have to remember that there are some factors that influence the final result. This, for example, weather conditions or time of day, as well as landscape and balance of power. It is worth mentioning that the character and training plays an important role. Take care of the pumping of such physical characteristics as endurance, accuracy, vigilance, resistance to stresses, observation. Start playing War Thunder right now and feel the wildness of adrenaline! You expect only positive emotions and good experience! Make it yourself! May luck does not leave you for a moment!